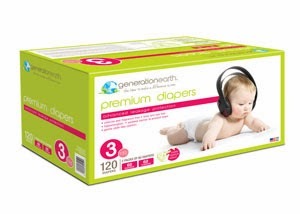 Enter to win a free year’s supply of Generation Earth Diapers. How to enter: watch this video and then “like” or “comment” on the video anytime between now and Sunday, November 3 at midnight. One winner will be randomly selected on Monday, November 4 and will be announced on the BJ’s Wholesale Club Facebook page.